While most condominium management companies are more than eager to help their residents with maintenance issues, there are several household repairs that you can easily do yourself quickly and easily. There’s no need to call in a repair service, as you more than likely have the skills and tools on hand to effect these repairs yourself. Repair professionals can charge hefty fees to tackle relatively straightforward jobs. You can easily find yourself charged hundreds of dollars for tasks that, with a little knowledge, can be easily done by the homeowner. So why not take charge and tackle these issues yourself? You’ll not only save money, but you’ll be proud that you had the wherewithal to take on the challenge yourself. Here are five common repairs, and how to do them yourself. According to TrustedPros, a plumber can charge anywhere between $65 and $95 per hour. 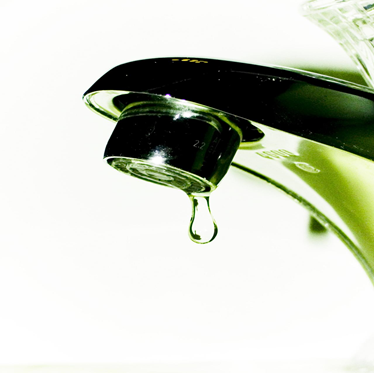 However, nine times out of ten, a leaky faucet is the result of a worn-out rubber washer. The good news is it’s very simple to replace yourself. Start by shutting off the water to the faucet. Under the sink there will be a valve; turn it until water no longer flows. If the tap itself is leaking, remove the nozzle by unscrewing it. Remove and replace the rubber washer. If the handle is leaking, use a screwdriver to pry the cap off of the handle. You’ll notice a handle screw; remove that then pull off the handle. Use a wrench to undo the packing nut. Unscrew the stem beneath it. Remove and replace the rubber o-ring washer. Turn the water back on to the faucet. Checklist For Commercial Property Safety: Are You Covered? There’s nothing worse than a backed-up toilet. Sooner or later, it’s something we all have to face. Yet what is there to do if there’s a serious blockage that won’t go down? Turn off the water supply to the toilet by turning the valve. This will prevent overflow. Pour a bucket of water into the bowl. The added water pressure may dislodge the blockage and clear it on its own. Failing that, insert a plunger into the toilet and affix it over the drain. Begin with slow rhythmic plunging motions, letting enough air pressure build up. Eventually, the air should be forced into the toilet and clear the blockage. If all else fails, a plumbing snake should do the trick. Readily available at hardware stores – and much cheaper than calling a plumber – a snake is a flexible rod driven into the toilet drain by a winding action. It’s long enough to reach into the curved channel underneath the bowl and will help fish out any blocking material. Once the blockage has cleared, turn the valve to restore water. The average cost for professional drywall repair is $477, according to a recent report. But before you call in an expert or condominium management, there’s a very easy fix. It can take a little while, but it’s worth it. First, clean the area to be repaired with a damp cloth. Allow it to dry. Next, open a tub of pre-mixed spackling compound and put some on a putty knife. Using the knife, gently apply the compound over the hole or crack. Ensure that it completely fills the opening. Still using the knife and applying pressure, smooth it down until it is relatively flush with the wall. Allow to dry. Once dry, take sandpaper and sand the area down until it is completely smooth against the rest of the wall. Wash with a damp cloth. Finally, re-paint the wall, covering up the repaired area. It’s a good idea to paint the entire wall for optimal colour blending. 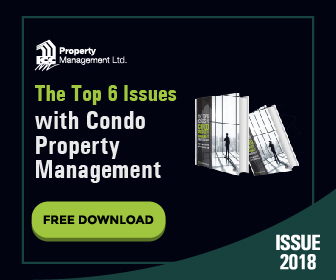 Get Our FREE Guide on Increasing The Value of Your Rental Property. Why pay a locksmith up to $40 per hour when you can replace a door handle yourself in less than 30 minutes? It’s very easy to do, and all you need is a couple of screwdrivers. Locate the metal ring between the handle and the door. This will usually be found on the “inside” side of the door. There will be a small notch on the bottom. Insert a flathead screwdriver into the notch and pry it off. Once removed, grasp both handles and pull. They should slide apart. You can either leave the existing striker assembly in place or replace it. Take the new handle set and re-assemble in the reverse order. Property Damage From Guests, Who Foots The Bill? If you’ve noticed that the grout around your bathroom fixtures has become dirty or worn, you can easily re-caulk it yourself. Using a utility razor blade or putty knife (if it’s excessively worn), remove the existing caulking around the fixture. Once removed, apply rubbing alcohol to the area to be caulked. This will help remove debris as well ensure a good bond. 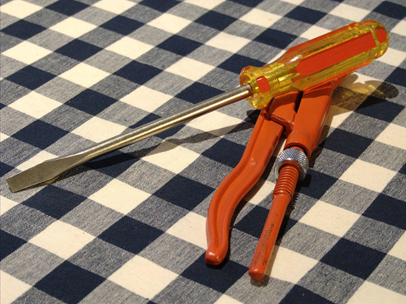 Using a caulking gun, apply the silicone caulk in a quick, smooth action that matches the flow of the caulk. Wet your finger and follow the caulk line, smoothing it out as you go. Remove any excess and allow to dry. By not having to call in an expensive repair service or even condominium management, you’ll save yourself money as well as enjoy the satisfaction of having fixed the problem yourself. Of course, we at ICC® Property Management are always ready and willing to assist our residents with any home repair needs. Whether your repair issue is large or small, we can help. As the enjoyment of your home is our utmost concern, contact us anytime for assistance.